University of Hartford Professor Dr. Joyce Ashuntantang will explain why enthusiasm is key to success. Don’t Make Lemonade. Just Enthuse! When life gives us lemons, conventional wisdom teaches us to make lemonade. However, with unbridled enthusiasm we may well just enjoy the benefits of lemons in their own right as we translate hope into action. Drawing from her personal experiences and poems Dr. Joyce Ashuntantang explains why enthusiasm remains the real secret to success. Ashuntantang will speak at the next West Hartford Women in Networking meeting on Thursday, Nov. 19, 2015. The meeting, which will be held at Chatfield, One Chatfield Dr., West Hartford, will take place from 7:30 – 9:45 a.m.
Hailing from Cameroon, Central Africa, Ashuntantang is an Associate Professor of English and African Literature at the University of Hartford. She is also a recent graduate of the Laura Johnson Initiative for Women Leaders. An actress, poet and fiction writer, her unique presentation with a fusion of performance poetry inspires confidence, enthusiasm and passion. She has been a guest speaker and invited poet in different parts of the world including the USA, Cameroon, Morocco, Nigeria, Costa Rica, Nicaragua, Colombia, England, Germany and Greece. Ashuntantang, actress, screen writer, film producer and poet, is a major force in contemporary Anglophone Cameroonian culture. As a founding member of Cameroon Flame Players and member of Yaoundé University Theater, she starred in numerous stage and TV plays. 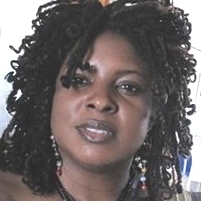 Her full length film, Potent Secrets (2001), is an undisputable milestone in Cameroon’s film industry. Her awards include, The Spirit of Detroit Award from the Mayor of Detroit, 1987, Cameroon Cultural Festival Awards 1989 and 1994, Outstanding Women in Action Award, Cameroon, 2002, and MOHWA ‘‘women making a difference’’ Award, 2010. Ashuntantang successfully leverages her interdisciplinary background to effectively engage diverse audiences. She is the author of many scholarly and creative publications including A Basket of Flaming Ashes, A Poetry collection. Come catch some of the abundant energy of this dynamic and engaging speaker! We will also have Introductions, refreshments, and small-group discussions. The meeting cost is $2. For further information call Dianne Rechel 860.573.3501 or visit www.westhartfordwomeninetworking.com.